Nestled on a hillside, comfortable croft house is the ideal location for family holiday, with Dunvegan Castle and Portree easily reached but wonderful unpopulated walking on your doorstep on Waternish. Enjoying views across open countryside and the waters of Loch Snizort and the Ascrib Islands, this detached traditional former croft house, which has been extended and renovated, makes the ideal holiday base. Wonderful area for walking, climbing, mountain biking, fishing, boat trips and water sports. Visit Dunvegan Castle and the coral beach, the Talisker Distillery, Portree or Armadale Castle. Lots of good pubs and restaurants and local seafood. Shop 12 miles, pub 5 miles. Living room with multi-fuel stove. Double bedroom with 5ft bed and en-suite shower room with toilet. NB: Steep gravel drive to garden. 1st comment: Excellent location, overlooking Loch Snizort. The cottage had everything we needed and was clean and obviously very well looked after. The weather for our stay was uncharacteristically mild (for the end of March) with plenty of sun. The week afterwards brought several inches of snow across the Highlands! 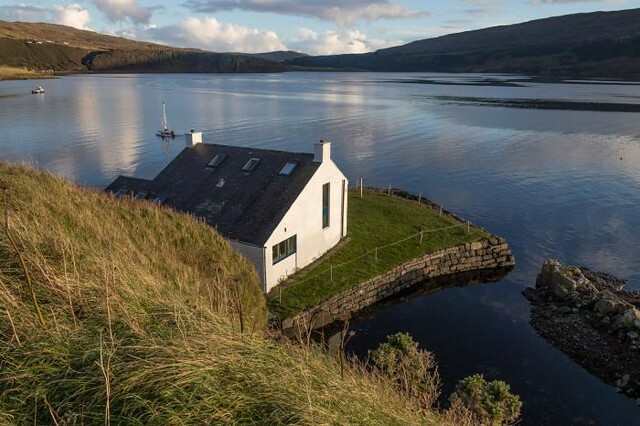 Would definitely recommend this property for your next stay on Skye. March 2012. 2nd comment: When you are staying in such a fantastic cottage like ’Seascape’ you don’t need good weather!! Oct 2011. 3rd comment: We stay in many self catering properties of varying sizes, this was amongst the most comfortable, well equiped and thought out. Well done the owners!Hope to return. Sept 2011. 4th comment: Feel yourself at home in this well-equipped house, with wonderful views and peaceful surroundings. July 2011. 5th comment: Lovely cottage with fabulous view. Well equipped kitchen with everything you need. Interior nicely decorated and well laid out for a comfortable holiday. April 2011. 6th comment: Very homely with everything we could need including books, puzzles and games. Loved the wool rugs and the Christmas decorations. Dec 2010. 7th comment: Very well stocked, and everything we needed to have a fantastic Christmas. Dec 2010. 8th comment: The property was warm and comfortable and set in a beautiful location. The underfloor heating was great, and the house itself was nice to come home to after exploring Skye. Oct 2010. 9th comment: Good size, well set out and decorated, good instructions. Sept 2010. 10th comment: Very comfortable house, made for real life occupation, for a family to LIVE in and not just for a short stay. 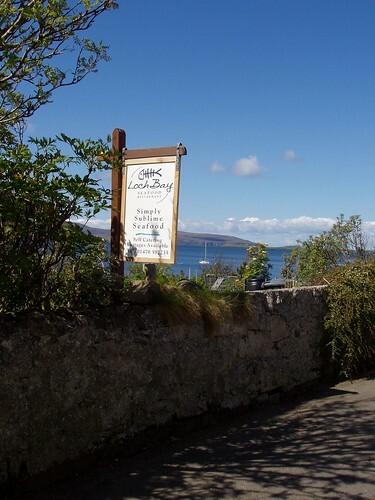 Well conceived, furnished and decorated house in a wild unspoilt spot of Skye. We felt at home and will certainly come back for other holidays in the near future! July 2010.